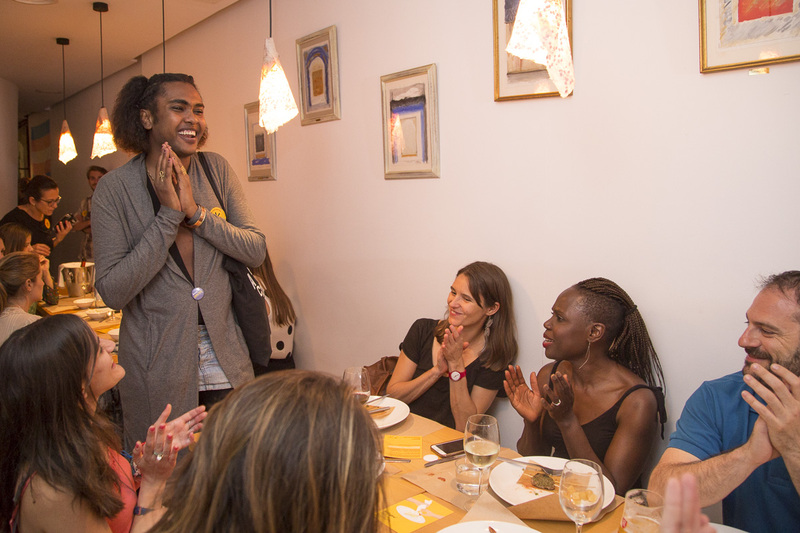 Late last Thursday evening, the fourth chef of the Refugee Food Festival in Madrid, Ahmad A., could be found quietly sitting in an inviting corner of L’Artisan Furansu Kitchen restaurant listening to the happy buzz of diners enjoying her culinary skills. She was stealing some much needed rest after a long day preparing for the fourth meal of the festival and a fully booked restaurant. “Cooking gets me excited, I love doing it all the time”, Ahmad told me, as she sipped a well-earned gin and tonic. 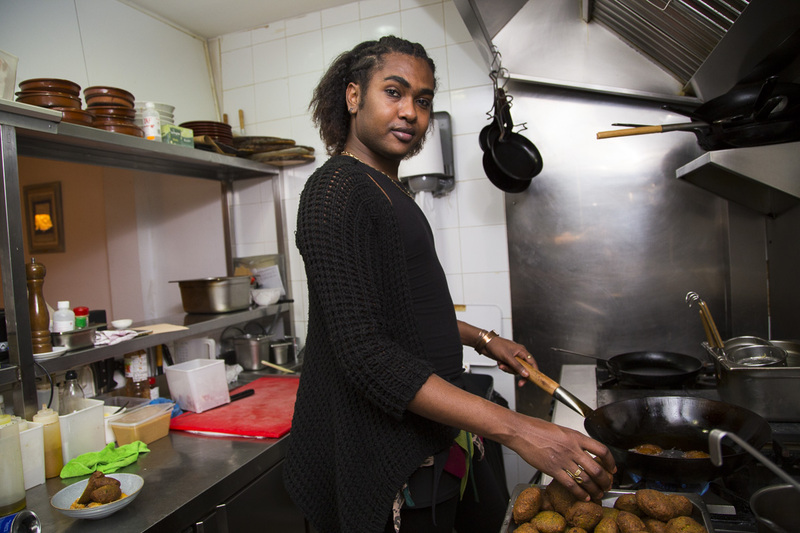 Since her arrival in Madrid 3 years ago, the Sudanese chef has made sure she really does cook almost all the time. 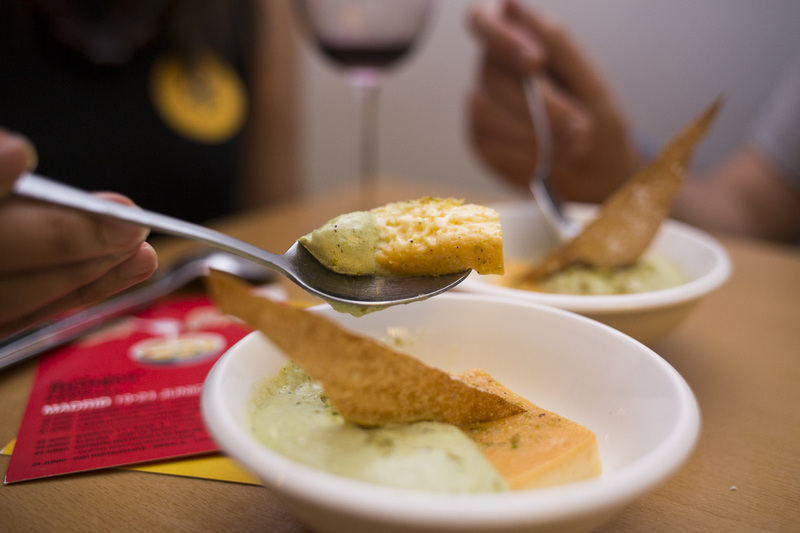 Despite being a mere 23 years of age, she has already honed her skills in cooking classes, and subsequently worked in various Spanish and Arabic cafeterías and restaurants around Madrid. She recently collaborated with MFR’s Chefugee team serving her delicious creations at their February dinner, which was also held at L’Artisan. This evening Ahmad returned with a gastronomical treasure trove of dishes from Sudan and Egypt. 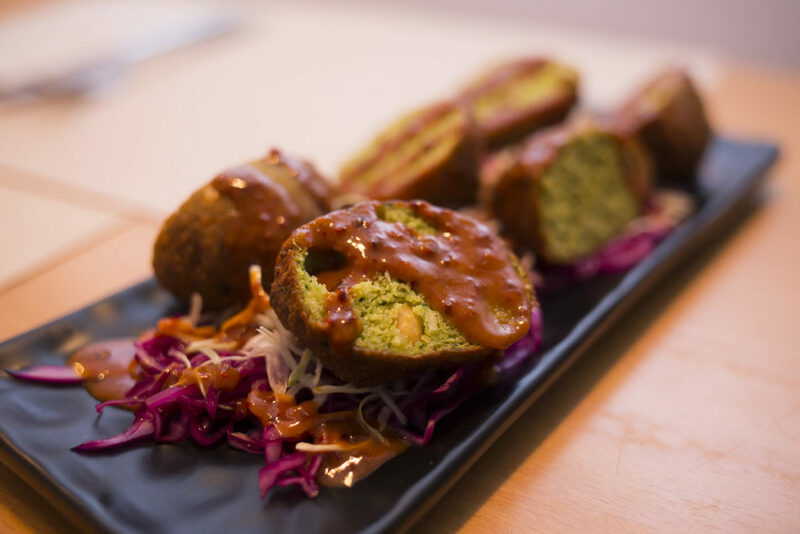 Appetites were initially whetted by uniquely spiced Egyptian-style falafel drizzled with a creamy peanut sauce, and served alongside a juicy sweet pineapple salad. After these, we tucked into a smoky charcoal kofta main, which was rounded off by a spellbindingly smooth, and my personal favourite, orange blossom custard and pistachio espuma. 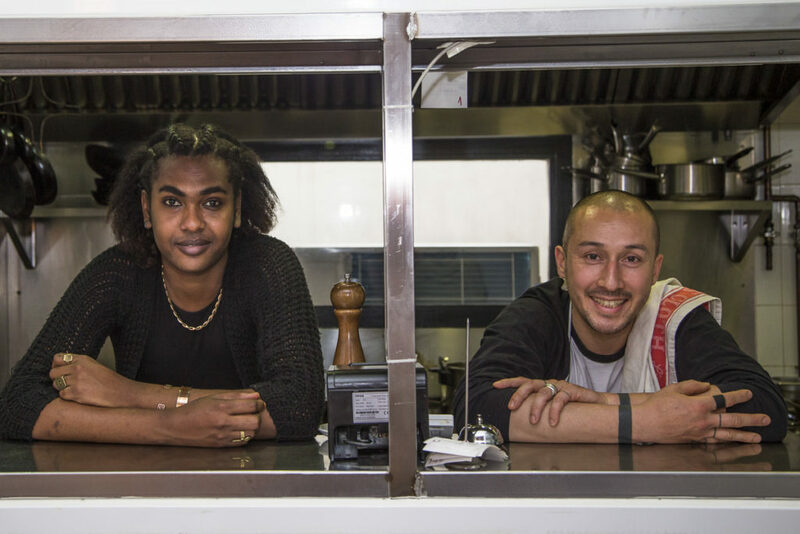 The staff at L’Artisan Furansu Kitchen was thrilled to welcome back both Ahmad and the Refugee Food Festival after participating in last year’s edition. Speaking to co-owner Stephane about their involvement, he explained that “you look at the situation today and you have to get involved in an event like this”, poignantly adding, “today it’s Ahmad, tomorrow it could easily be me.” This passion is reflected in the restaurant’s faultless support for the festival and Chefugee more widely, being a crucial venue in both editions as well as hosting numerous Chefugee dinners. This evening was no exception with owners Stephane and Giselle, as well as the wait and kitchen staff, working tirelessly alongside Ahmad to ensure the night’s triumph. And triumph it did as the cosy French-Japanese fusion restaurant was almost overflowing with diners exploring the rich culinary traditions of Sudan and Egypt, places so often cast in a negative light by media narratives. Ahmad described how “food can be a process of understanding for others about what it means to be a refugee” as she relished the opportunity to present a vibrant and positive flavour of the culture she simultaneously left behind and brought with her. Before long, Ahmad had left the quiet comfort of her corner to greet guests and further the “process of understanding” she, and the festival as a whole, continues to strive for, and her gracious animation was reflected in the people she met, as misguided stigmas crumbled in the name of good food.